Past and present members of Pitt’s Black Action Society met Wednesday afternoon to commemorate the organization’s founding and fortify its future. 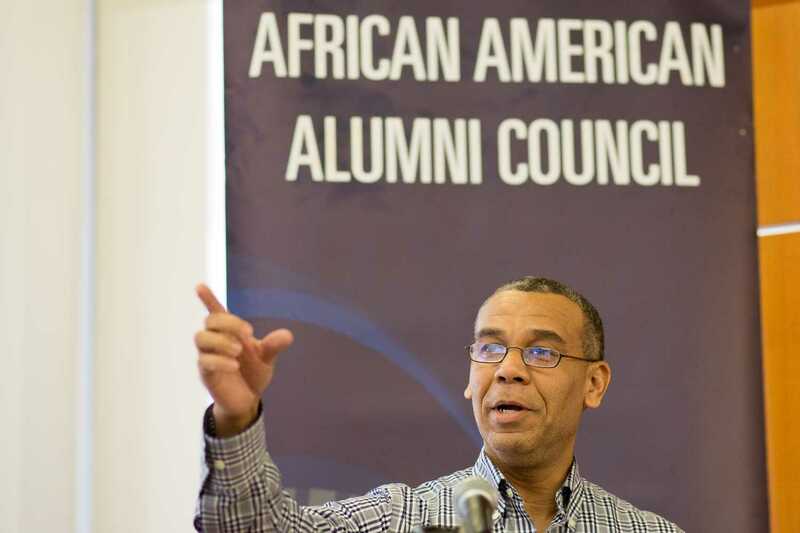 The African American Alumni Council hosted a discussion about the Black Action Society, which was founded 50 years ago. Approximately 50 people attended the Total Justice and True Black Freedom event to remember the group’s rich history on Pitt’s campus. Held in Hillman Library, the event featured a panel of founding and former BAS members and displayed a collection of original organization documents from the University’s archives. Attendees came not only to hear the history, but to engage with the speakers. Pamela Heywood, 55, of the North Side, said she had heard stories about the founding during her time at BAS in the ‘80s. She came to Total Justice to learn how it happened from those who were there. “I want to stay abreast of what’s going on [at BAS],” Heywood said. Curtiss E. Porter, chancellor emeritus at Penn State Greater Allegheny, and Gail Austin, Pitt’s Academic Resource Center director emeritus, represented the “founding mothers and fathers” of BAS on the panel. Marita Garrett, the mayor of Wilkinsburg, and Austin Davis, a recently elected congressman from Pennsylvania’s 35th District, represented the generations that followed. “It seems I spent my whole life at the University of Pittsburgh,” Austin said. Austin took classes at Pitt while attending Schenley High School, earning credits she thinks got her admitted. Austin believes two events at Pitt helped with the formation of BAS — Martin Luther King Jr.’s 1966 speech at the William Pitt Union and Stokely Carmichael’s speech six months later. “More than any other lecture that, I think, black students had heard … at that time, it had a tremendous impact on us,” Austin said. Carmichael spoke in front of Soldiers and Sailors Memorial Hall and on the steps of the WPU. According to Austin, he arrived without an entourage to call Pitt students to action and encourage black power. The result of that call to action was the African American Cultural Society — a forerunner to BAS. The AACS involved both students and community members on all Pittsburgh college campuses, with Pitt at its core. “We literally created a cultural movement in the City of Pittsburgh,” Porter said. Porter said the AACS brought speakers to Pitt and supported writers across the City of Pittsburgh, and mentioned it was one of the first publishers of Pittsburgh playwright August Wilson. The AACS also helped Pitt learn it needed resources. When laying out its original constitution, the first things BAS requested were an office, an official budget and “a means of communication” — resources the AACS lacked. As chairperson, Porter spent long hours making connections with other colleges across the United States. The information he gathered would be used as the AACS transitioned into the BAS. Both Davis and Garrett spoke about BAS’ lasting impact as a community that gives students a voice. The program was not just for reflection and celebration — members of the panel took time to discuss modern student activism, social media in social change and diversity at Pitt. Davis said he continues to see the battles of 1968 still fought in 2018 and commented on the role social media plays in today’s activism. “I think we’re seeing a lot of younger activists and politicians taking advantage of [social media]. I know I take advantage of it a lot, just in terms of what I’m doing in my offices and my activism, and I know Marita does as well because we’d be crazy not to,” he said. Arif Jamal, liaison librarian for African studies, Africana studies and social work, delivered the event’s welcome address. Speaking about a time when it was improper for students to question or make demands of their University, he made clear the importance of revisiting BAS’ 50 years of activism. “Part of that was the establishment of a type of consciousness where students were saying, ‘This is who we are, this is where we want to go and this is how we’re going to do it,’” Jamal said.